Dr. Elizabeth E. Engel has been in the chiropractic field since 2004. She grew up in Michigan and obtained her Bachelor of Science degree in Biomedical Sciences from Grand Valley State University. After graduation, she attended National University of Health Sciences in Lombard, IL. 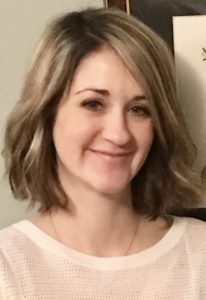 This is where she became a Chiropractic Physician, earned a second Bachelor of Science degree in Human Biology and also received her acupuncture certification. Dr. Engel greatly enjoys working with patients and teaching each of them how to maximize their well-being. She prides herself on listening to her patients in order to determine how she can assist each patient’s needs. In her spare time you’ll find Dr. Engel out on the roads training for local road races. 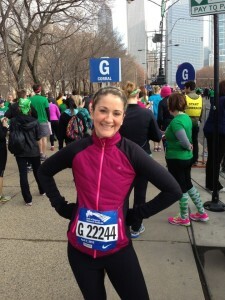 Running injuries from cross-country and track in high school are what prompted her to first seek chiropractic care. Since then she has completed 2 marathons and hopes to compete in more in the future. Until then she volunteers at the Chicago Marathon.